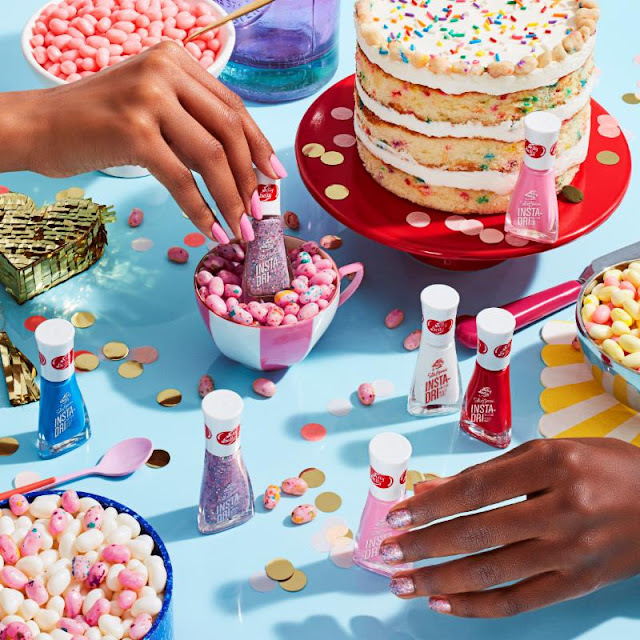 Easter is coming up and Sally Hansen has a sweet way to get your nails right for the holiday. My beauty find today is the SALLY HANSEN NEW Insta Dri x Jelly Belly collection. You can give your nails a tasty, candy colored manicure. This is sweet new twist on the classic Insta Dri formula, and this collection transforms Jelly Belly’s wildly popular flavors into your favorite quick dry polish. If you haven't tried any color from the Insta-Dri collection, you should because in 60 seconds, you can have dry, beautiful nails. These vibrant Jelly Belly shades are perfect for the women on the go, and with one stroke, it's a great way to welcome Spring. The collection is available in drugstores nationwide for $4.99. For more on the brand visit SallyHansen.com and click HERE for details on the Jelly Belly collection.